One of my great loves, genre wise, is Historical Fiction, and so for this week's Rosie's Riveters, I have looked to the past, and chosen the formidable Eleanor of Aquitaine. My early introductions to Eleanor were in Sharon Penman's excellent novels. There is a particular focus on her relationship with Henry II in the trilogy that starts with When Christ and His Saints Slept, and then continues with Time and Chance and then Devil's Brood. In addition she is one of the supporting characters in the Justin de Quincey mystery series. Sharon Penman is not the only author to feature Eleanor to some degree. Even when she is just a supporting character any mention of her will capture my attention. Other books that she has appeared in that I have read include the historical mystery The Serpent's Tale by Ariana Franklin and also in Elizabeth Chadwick's excellent William Marshal novels, particularly The Greatest Knight. Other authors to have written about her include Jean Plaidy, Judith Tarr, and Margaret Ball, and there is plenty of non-fiction written about her as well. I think that my impression of Eleanor of Aquitaine is of a woman who was beautiful, but also powerful and driven. Other adjectives I might use are passionate, political, single minded and formidable. Eleanor of Aquitaine is riveting to me because she was a powerful woman in her own right, who married two powerful men, was queen of two countries, and was mother to two kings. She was apparently a great beauty of her time and lived an adventurous and tumultuous life. She was queen of France until she divorced Louis VII. Not long after she married Henry II with whom it would appear she had a very passionate union, both when they were happy, and when they were passionately against each other. With Louis she had two daughters, and with Henry she had five sons and three daughters. Two of those sons would go on to become King of England, Richard the Lionheart and King John and Eleanor acted as regent for a time for Richard while he was on crusade. Eleanor herself had gone to Jerusalem with her then husband Louis VII during the second crusade. For a long time Eleanor was imprisoned by Henry for aiding their son in a rebellion against Henry and was released only for limited periods of time. From this distance it is probably hard to know what Eleanor was truly like, but she is certainly a woman who left her mark on history when so many women were defined by their marriage and many were just footnotes in the notes. She managed to hold onto her lands, managed to get out of an unhappy marriage during a time when divorce was very difficult, and managed to leave a lasting impression through the ages. If there is one thing that I would say that isn't a point in her favour it is that it appears that Eleanor wasn't the most maternal of women, although when you look through the family history, it appears that being a Plantagenet was to be quite a volatile character. I remember reading a quote once, but I can't remember who said it, something along the lines of "if you want to read about dysfunctional families, look no further than the Plantagenets". I would absolutely recommend reading any of the books that I mentioned above, not only because Eleanor features in them, but also because they are excellent books in their own right. My image of Eleanor of Aquitaine has I think been irrevocably influenced by the experience of watching a movie from 1968 called Lion in Winter. Katharine Hepburn won an Oscar for her performance as Eleanor and other cast members included Peter O'Toole and a couple of young actors called Anthony Hopkins and Timothy Dalton. I thought I would share a YouTube video of Katharine Hepburn as Eleanor of Aquitaine. The film is set in Chinon at Christmas in 1183. Eleanor has been released from prison for the holidays, and the whole family is involved in scheming and plotting, and maneuvering to be the next person to wear the crown. Hopefully it is clear that I would be pretty happy that this year has jokingly been dubbed the Year of Eleanor with plenty of books being released about this fascinating woman. I was therefore looking forward to reading The Queen's Pawn by Christy English, especially seeing as I had also enjoyed the interactions that I had had with Christy and witnessed her having with other bloggers and readers. When reading the book coincided with it being time to do Q for the Alphabet in Historical Fiction, I knew that this was the post I wanted to write. It is therefore unfortunate that I didn't really enjoy this book all that much. A historical novel of the legendary Eleanor of Aquitaine and the one person she loved more than power-her rival for the throne. At only nine, Princess Alais of France is sent to live in England until she is of age to wed Prince Richard, son of King Henry II and Queen Eleanor of Aquitaine. Alais is an innocent pawn on the chessboard of dynastic marriage, her betrothal intended to broker an uneasy truce between the nations. Estranged from her husband, Eleanor sees a kindred spirit in this determined young girl. She embraces Alais as a daughter, teaching the princess what it takes to be a woman of power in a world of men. But as Alais grows to maturity and develops ambitions of her own, Eleanor begins to see her as a threat-and their love for each other becomes overshadowed by their bitter rivalry, dark betrayals, conflicting passions, and a battle for revenge over the throne of England itself. As soon as I started this book I had a feeling that it wasn't going to go all that well, simply because the narrative is first person with alternating perspectives. First person I can just cope with, although I do prefer other styles of narrative more, but I really am not all that keen on alternating perspectives. One of the major issues that I have with first person narrative is that you can't hear what the other character is thinking. In this case, the author tried to get around this by having all of her characters be expert at reading the facial expressions of the others. Now, I agree that at times it is possible to read the emotions of other people by looking in their eyes, but in one chapter alone this happened more than 15 times - one chapter only, and that was a chapter that I just randomly chose. I didn't go looking to find the worst chapter as an example. They had squab for dinner nearly that many times as well! Every now and again there would be a couple of pages without this kind of eye reading but then it would start again and it would throw me out of the story every time. So they are more writing issues than story so in order to be fair I did enjoy the storyline. Princess Alais is the daughter of the French king Louis VII, former husband of the formidable Eleanor of Aquitaine. 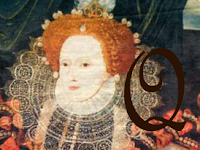 Alais has grown up hearing nothing good about Eleanor and so when it is determined that she is to marry the English prince Richard, and that means that she is to go and live in England with Eleanor, she is a little fearful. It turns out that Eleanor accepts her pretty much instantly as her daughter. If there is a female equivalent to a bromance, then that would be close to how these two feel about each other. After spending some time with some nuns where she turns out to have a talent for painting in manuscripts, Alais returns to Eleanor and finally meets the man who is to be her husband, and she develops strong feelings for him. Richard is however a man of his times, and when Alais finds out something about him, she feels very betrayed, and acts on the attraction that she feels to Henry II, Richard's father. The characters in the novel were all manipulative, some more than others, and the quest for power, and controlling those who appeared to be in power was all consuming. This by necessity meant that the characters weren't particularly likable. When the betrayed becomes the betrayer, and the betrayer is in turned betrayed it makes for very tense times in the courts of England. Normally if you see mention of Alais, she is a secondary character, so it was quite interesting to learn more about her background, and what her possible motivations might have been, and there was sizzling chemistry between her and Henry. Henry II is a ruler that I find extremely interesting to read about, particularly in light of his relationship with Eleanor (the words volatile and complicated come to mind), and I do think that the various facets of this aspect of his later rule was shown well. In the end, this wasn't a book that worked for me, and I can't tell you how disappointed I was when I realised that that was going to be the case. Eleanor is not a character with whom I am completely familiar. Your raving review about her definitely piqued my interest, and I will be keeping an eye out for novels about her next year. Thanks for sharing! Your comments about the first-person narration were spot on! I haven't read this book but I've read many others with psychic expression-reading. I think a lot of authors believe first person is easier to write but they just end up boxing themselves into a corner in terms of character motivation, historical research and description. She's a fascinating person, I wrote a paper on her in college. And I love Katherine Hepburn as Eleanor, with Peter O'Toole! I too have been endless fascinated with Eleanor. I've read two biographies about her but haven't yet delved into fiction. I loved that Hepburn movie though -- all that scheming and Kate is great. Beth and I am Mouse, it is hard to imagine anyone doing a better job of portraying Eleanor than Katherine Hepburn, but thinking that does make me wonder why there haven't been more movies with her in it. Katherine, psychic expression reading - perfect way to describe it! Michelle, when she is well written, Eleanor is a fascinating character indeed.